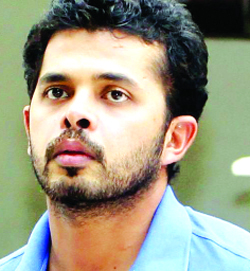 Sreesanth is an cricket celebrity and who born and grew in Kothamangalam, Kerala. 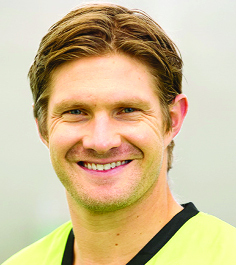 He made his first-class debut in against Goa in 2002-2003. Sreesanth is played as first-class cricket in IPL for Rajasthan Royals. He is most known for his fast bowling which speed around 142 kmpl. Sreesanth is continuously news due its match fixing in IPL. After the one year is passed to IPL scandal now Sreesanth comes in limelight. The cricketer was taking participation in Indian TV reality show Jhalak Dikhhla Jaa. Sreesanth was born on 6th February 1983 in Kothamangalam, Kerala. His father Santhakumaran Nair is a retired LIC officer and her mother Savithri Devi is Treasury department official. He has one elder brother and two elder sisters. He did his preliminary education from Choice School, Kochi and Florence Public School, Bangalore. He has passion of cricket from his childhood so he took training in Ernakulam CC and MRF Pace Foundation in Chennai. Sreesanth is a good leg spinner first but after encouragement by his elder big brother he converted into fast bowling. On 12 December 2013, Sreesanth married his girlfriend Bhuvneshwari Kumari of Jaipur’s Shekhawat family at Guruvayur Sri Krishna temple in Kerala. Bhuvneshwari Kumari aka Nain Shekhawat is the daughter of Hirendra Singh Shekhawat and Muktha Singh. [In November 2004, Sreesanth entered the record books when he took a hat-trick against Himachal Pradesh in a Ranji trophy game. He was selected to represent India B in the Challenger Trophy in October 2005, a domestic limited-overs tournament. He performed impressively in that tournament, earning the Man of the Series award and being the leading wicket taker (7) with the third best bowling average. This led to his selection to Indian team for the home ODI series against Sri Lanka. 1. Which team won Inter-Tehsil Cricket League Tournament organized by Army at Jhullas? 2. Which team won Friendly Cricket Match held at District Jail Udhampur? 3. Who has been appointed as BCCI CEO? 4. Who lifted 18th Annual Bhamag Kesari title? 5. Which team won 12th Gufran Championship? 1. Wrestler Pamma 2. Four 3. Tip Top Yellow 4. Sandeep Kumar 5. MS Dhoni. The best entry of this week was received from Rakesh Sharma of Talab Tillo. The other entries of the week were from Sanjay Dhar of Upper Laxmi Nagar, Sarwal, Satish Kumar of Muthi, Mukesh of Bakshi Nagar, Krishan Khajuria of Bari Brahmana, Mohammad Owais of Channi, Dileep Khajuria of Chatha and Akash Jandial of Gandhi Nagar. as the winner will be intimated through SMS.